Born in Winton, California on May of 1930, he started his life as the son of a cotton Farmer. At a very young age, Dean was rendered completely deaf due to a bout of meningitis that almost took his life. 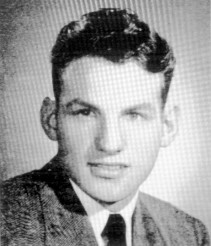 At the tender age of six, Dean began his school years at the California School for the Deaf and graduated in 1948 at he age of 18. Dean had a love of sports, enthusiastically participating in everything from football to basketball to wrestling. Dean went on to Gallaudet University and was accomplished as both a student, and an athlete having received the Charles Russell Ely Chemistry Award in his senior year and was inducted into the Gallaudet Athletic Hall of Fame in 1995 for his wrestling prowess. He went on to become an educator and athletic coach at five different School for the Deaf locations; West Virginia, Iowa, Wisconsin and in California at Berkley and later in the Fremont location. Dean was dedicated to the deaf community. He coached the Deaf Olympic Wrestling Team in 1976 and was an inspiration to many young athletes during his life. He had a love of fly fishing and being outdoors. He was also the President of the first deaf chapter of The Lions Club. In his later years, as part of the Nevada Association for the Deaf, Dean focused his attention on ensuring that the state provided competent interpreters within the Municipal Court System in the State of Nevada. According to our history book, Dean Swaim was the first Deaf high school principal in California. After becoming CSD’s high school principal, he later became our vocational principal. Dean Swaim taught mathematics at CSD and initiated our school’s wrestling program in 1963. His wrestling teams won the league championship for seven years straight from 1966-1972. Dean Swaim (and Ken Norton) accompanied six CSD Olympians to the World Games for the Deaf when it was held in Malmo, Sweden. Dean Swaim also served as president of the DCARA board from1972-78. Swaim was appointed to the Governor’s Committee on Employment of the Handicapped, focusing on the transition from school to work. 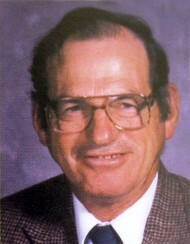 Swaim was a member of the Fremont Chamber of Commerce from 1983-88. Swaim was awarded the Award of Merit from CEASD for significant contributions as a teacher and role model for Deaf youth in the academic and vocational programs at CSD. Thanks to Dora McHugh, Tom Sievert, Marlene Turk and Ken Norton for the information.